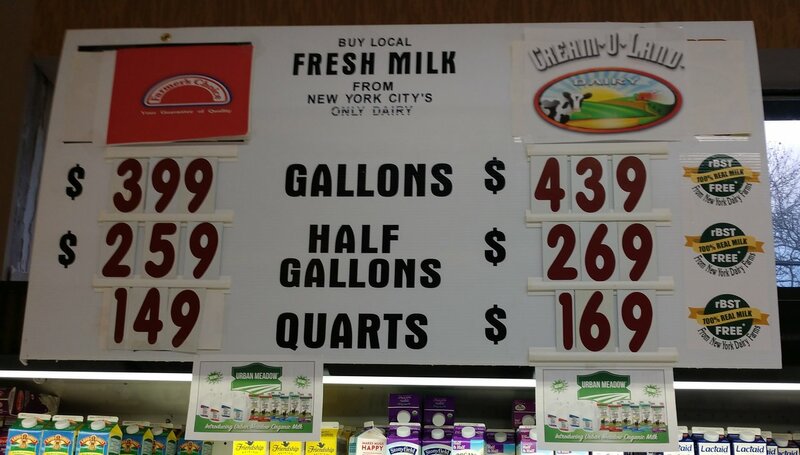 My local supermarket sells Cream-O-Land milk at $4.39, and Farmer’s Choice at $3.99 per gallon. I see no difference and go for the cheaper option every time, saving 10%. 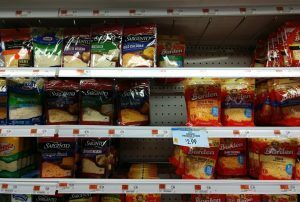 Yet, when it’s a choice between shredded cheddar cheese at $2.99 for Borden, and $4.79 for Sargento, I often select Sargento cheese, even though it costs 60% more. Does it taste different? Maybe. Does it feel different? Absolutely. 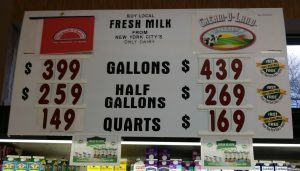 Is milk better at $4.39 per gallon or $3.99? I’ll be honest, outside of the influence of Sargento’s TV commercials and other marketing, I am biased. 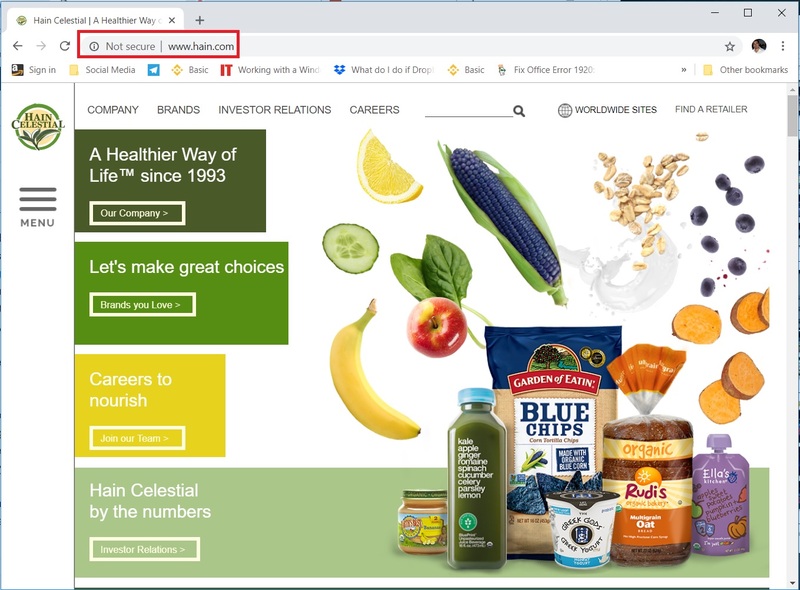 In my prior role as CMO of ECommerce Partners, the organic search strategies I implemented for them moved Sargento from virtual invisibility to page-one and improved CTRs for many top keywords. This, and the exposure I got working cross functionally with Sargento’s agency of record, publicists and other teams transformed me into a lifetime customer. 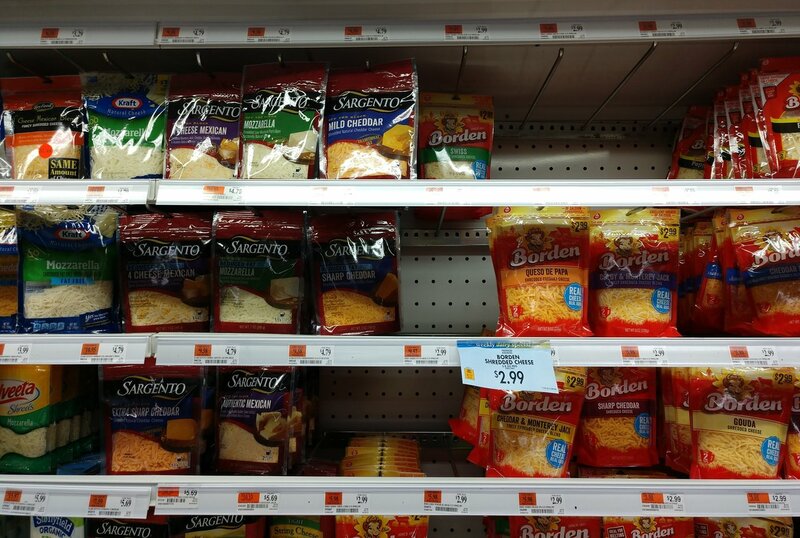 What makes Sargento worth $4.79 when Borden sells for $2.99? Hain is among Long Island’s top 50 publicly traded companies. In fiscal year July-June 2018, they had $2.46B in sales revenue, a 5% increase over $2.34B in 2017, according to MarketWatch. This left them with a net income of $82.43M in 2018, compared to $65.54M in 2017. 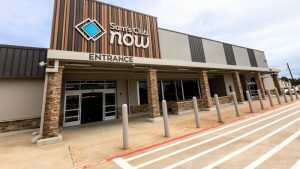 Compare this to Sprouts Farmers Market Inc. (NASDAQ: SFM). In January-December 2017, SFM saw $4.66B in sales revenue, up 15% from $4.05B in the prior year, and a net income of $158.44M, up from $124.31M in 2016. Both companies landed at about 3.4% profitability, but SFM had 3x greater growth, year-over-year. Though they have a broad selection that extends beyond the healthy-living products offered by Hain, there is an achievable path for Hain to experience similar growth. 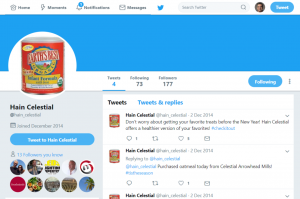 Hain missed their financial estimates in February 2018, but with improved analytics, technology and a marketing plan that includes a heavy focus on digital channels and data-driven decisions, they could turn things around. Online sales produced nine out of every ten dollars in FMCG retail growth between 2016 and 2017. The Food Marketing Institute (FMI) and Nielsen found that 49% of US consumers recently purchased CPGs online, with higher rates among Gen X and Millennials. People are glued to their mobile devices, and companies that embrace this technology are growing, while those that don’t will face extinction. Amazon Go has taken this a step further, by marrying online orders with a frictionless retail experience that uses IoT technology to eliminate lines, and the entire checkout process – just grab and go. The model still has some bugs – refunds don’t require product returns, and you may be queued up outside the store before you can shop, due to space limitations. However, they’re already testing a higher capacity store, and Sam’s Club isn’t far behind. Don’t forget that Amazon acquired Whole Foods, including their infrastructure and lots of valuable consumer data, putting pressure on companies like Instacart to lower grocery delivery prices. They, and other ecommerce vendors are driving companies to offer an equally engaging online, and retail experience. Top trends for CPG include globalization, sustainability and consumer connections, according to Shopkick. CPGs and their vendors need to upgrade their marketing strategies, including online channels if they want to survive the transition from a customer base that relies on Boomers and Gen Xers, to one that is dominated by Millennials and soon, Gen Z. Looking past simple demographics, there is a trend in psychographics where people of every age and background are embracing technology in every conceivable way. Hain’s brands are hitting the mark on sustainability and globalization, but need work with consumer connections through their websites and social media profiles. 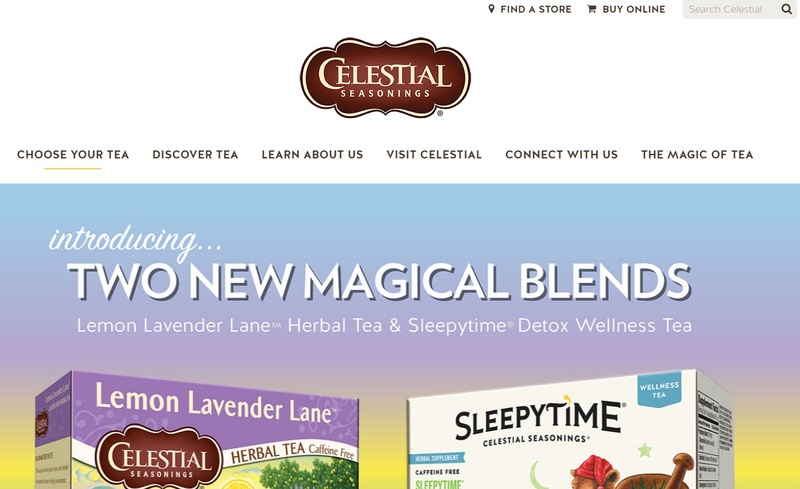 Hain Celestial has an amazing variety of healthy products, and lots of distribution. Despite their poor showing online, it’s easy to see how health-conscious foodies gravitate to their products. But when it comes to their online presence, from the lack of uniformity and functionality across their many branded websites, to the lack of search presence on Google, and the lack of engagement on social media, they’re not even close to where they need to be in a digital age, and the competition will eat them up. To be fair, they appear to be present on marketplaces such as Walmart.com, Jet.com, and Peapod, but these product listings do not tell the story behind their brand. If I were to grade digital marketing tactics and results, Sprouts Farmers Market would get a B+, and Hain Celestial would get a C-. With the exception of their marketplace listings, it’s obvious that they are relying on old methods and relationships that will soon dwindle as their competitors outperform them. Luckily for Hain Celestial, all is not lost. They are a well-funded company, and if they were to organize a digital media department that includes bringing on contractors and in-house staff, they could correct this problem over time. Analyzing every single brand under their umbrella would be an enormous task, far beyond the scope of a blog post, and I won’t pretend to be an expert on their product, or business model. It’s entirely possible that the company is already addressing this problem behind the scenes, though a quick look at their job listings and LinkedIn profile tell a different story. In contrast, spot-checking a few of their websites and social profiles revealed a number of issues that can be addressed as part of an action plan to keep Hain relevant, such that their online presence will complement their delicious and nutritious product line in a way that increases engagement, drives sales and presumably would put them on a trajectory for the level of growth that’s required to maintain market share. 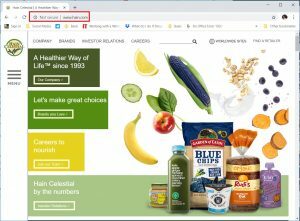 If Hain Celestial does nothing else, they need to put SSL certificates on their websites, so that they may be addressed by https instead of http. This will eliminate the “Not Secure” message in Google Chrome, making the website compliant with Google’s published best practices. Not only will this small change result in better SEO as secure pages become a more prominent ranking factor, but consumers area already accustomed to sitewide encryption and it may contribute to overall trust in the brand. In terms of functionality, the Hain family of websites is far behind the competition. For comparison, take another look at the Sprouts website. 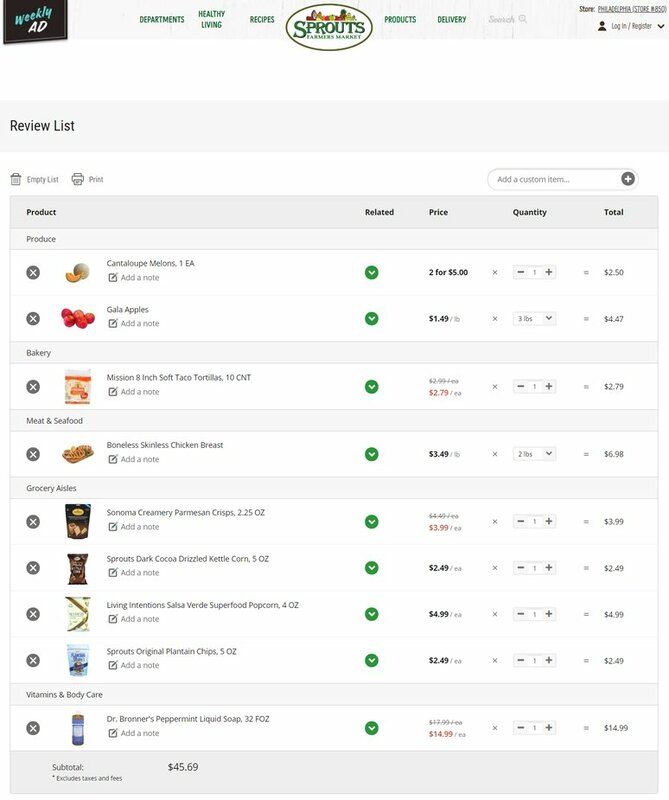 Other than the Hain store locator web app, which is more or less on par with the Sprouts store finder, the user experience on the Sprouts website is superior to that of Hain. 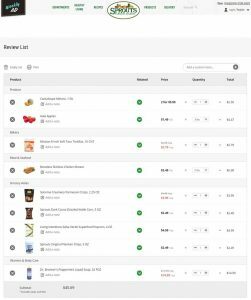 Where Sprouts excels is in its shopping-list functionality. They engage people naturally, with a user experience that’s similar to many ecommerce websites. At “checkout,” the customer can save and print a shopping list that they can bring to the store. 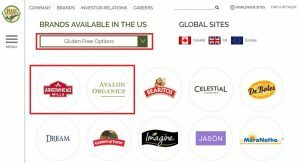 Hain’s brand portal is not terrible, as users can filter and click through to website for the brands they’re interested in. The design is pleasant and organized, but needs work. First, the taxonomy is poorly designed. 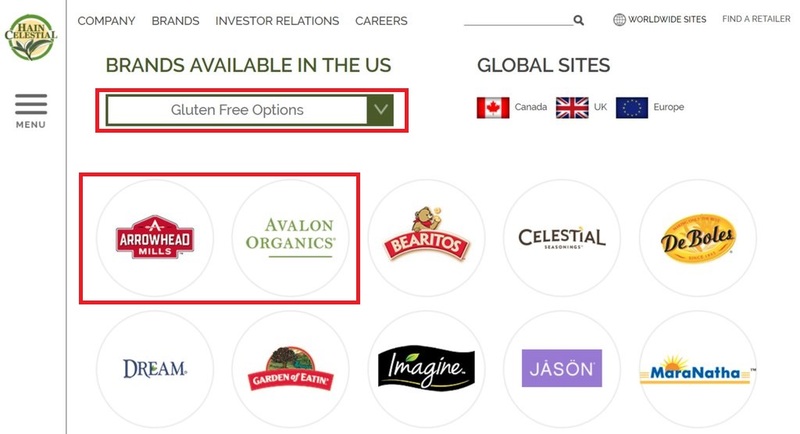 As an example, a user who selects “Gluten Free Options” in the dropdown probably expects to see gluten-free food products listed. 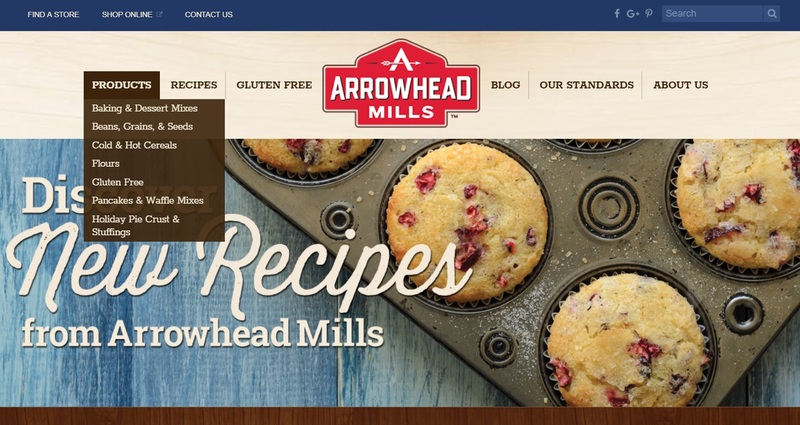 Yet Avalon Organics, a company that sells beauty products, is the second website shown on the resulting page, next to Arrowhead Mills. This only confuses users who may not have the patience to click through to every link. A good starting point would be to categorize beauty, skincare and related products separately from food products. Why is a skincare brand grouped with foods under Gluten-Free? Next, the “Find a Retailer” buttons don’t seem to work properly when expanding the details for a particular brand. I can only imagine that website development was somehow halted midway through a project, as no Quality Assurance (QA) team worth their salt would have missed such an obvious mistake. But there’s a bigger problem: there is no consistency across websites. 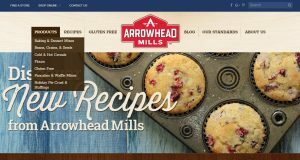 If you click through to Arrowhead Mills, for example, you’ll find the experience to be completely different than the experience on Celestial Seasonings, where the layout, navigation and every other component of each design is completely different. Compare this to the 1-800-flowers family of websites. Although their ecosystem also needs work (e.g. users may get confused when they click through to Cheryl’s Cookies but still find themselves on the 1-800-flowers website), the experience is much better. Brands are listed across the top, and the navigation and layout is mostly consistent. I’ve had conversations with Amit Shah, the CMO of 1-800-flowers in the past, and the differences I do see across brands are likely due to multivariate testing. As an aside, when I was the Director of Ecommerce for David’s Cookies, many years ago, Cheryl’s Cookies was one of the competitor websites that I frequented. It’s amazing to see how each company has progressed in many ways, while some of the same problems I noticed a decade ago are either still present, or resurrected. Consumer expectations are on the rise, as people become conditioned to instant gratification. We need our daily dopamine fix from new likes and shares on social media, and from receiving the goods and services we order online in record time. According to Sprout Social, one in four consumers is annoyed when companies don’t respond to their social media queries quickly. Compare that to the fact that nine in ten messages on social media are ignored, and the importance of social engagement becomes clear. Imagine a consumer who is interested in Hain Celestial’s products. The company lacks a prominent voice on any social media channel. They stopped blogging in 1Q 2017 and the only way to contact them appears to be through a website form. There are scenarios where small businesses and online companies will intentionally limit the calls they receive, but this should not be the case for a multi-billion-dollar CPG that has enough resources for a fully-staffed customer care department. While Hain Celestial’s competitors are exploring technology like voice search, and partnerships with smart speaker manufacturers like Amazon, Google and Apple, Hain doesn’t even have a voice on social media or the website. People become loyal to brands that resonate with their tribes. They are desperate for a community of like-minded people, and this needs to drive any company’s content strategy. 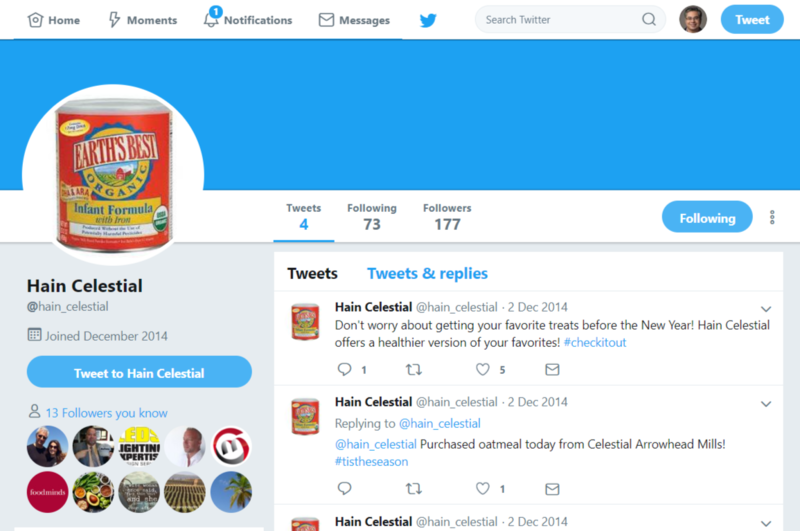 If we were to go to the basics of the four P’s of marketing: Product, Price, Promotion, Place (and optionally, People, Physical evidence, Performance, and Process), I would assume that Hain Celestial is exceptional at Product and Price, but in the digital world, they’re failing on Promotion and Place. There is so much more that I want to say about Hain Celestial, and how I would go about fixing their digital footprint, or lack thereof. I’ll put a few more points into Part 2 of this analysis when it gets published, but for now, I’ll leave you with a few takeaways that may be applied to any CPG company’s websites and social media profiles. First and foremost, as Stephen Covey would say, begin with the end in mind. In other words, figure out overall goals and some KPIs against which success may be measured. Second, this is a huge undertaking, so it does not make sense to do everything at once. Instead, Hain should make it an iterative process. The Agile Method to project management would serve a company like Hain well, where tasks are prioritized among cross-functional teams, and upgrades occur as a series of sprints. An effective digital strategy includes bringing the right people on board to properly manage the various components of their digital footprint, from content creation to social media and an intuitive user interface that also happens to be SEO-friendly. If you you found this information valuable, then please share this article, and follow me on Twitter to get notified when Part 2 is published. I’ll expand on some of the ideas presented here, and I’ll include a few new ones. I’ll most likely include a bit about Hain, along with some other examples to keep things interesting. Posted in EBusiness Education, Ecommerce 101, Marketing Tips, SEO, Social Media, Web Design. Tags: 1800flowers, Amazon, Cheryl's Cookies, CPG, David's Cookies, frictionless checkout, Hain Celestial, Sam's Club, Sprouts Farmers Market, user experience, user interface.